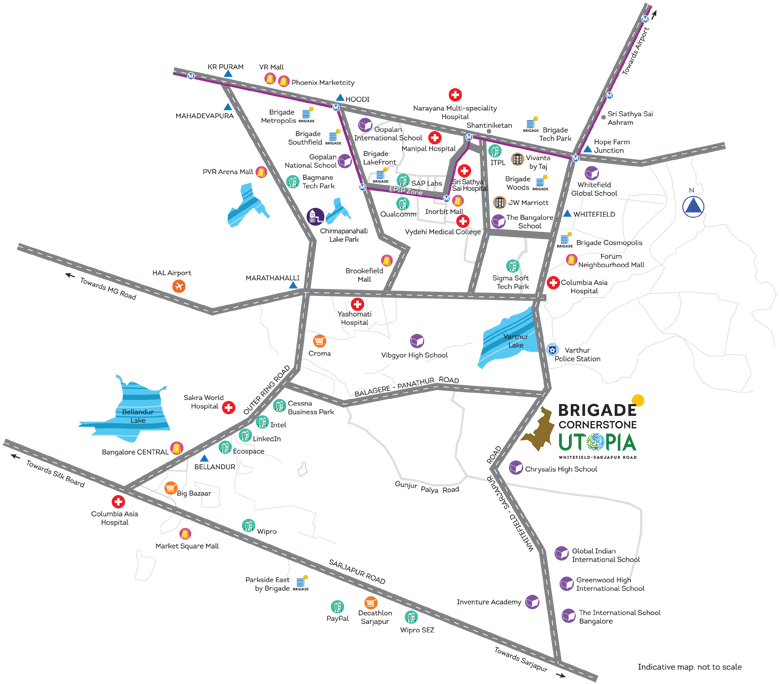 Brigade Cornerstone Utopia is located conveniently on Whitefield - Sarjapur Road and is easily accessible to schools, colleges, hospitals, offices, software parks, and the Ring Road. We are confident that this vibrant township consisting of residences, retail and offices along with large green open spaces will soon become a destination in itself. The forward-thinking design of the project ensures that you can still retreat to the warm comforts of your home, yet remaining well-connected to all major hubs of employment, social infrastructure and daily conveniences. Brigade is one of India's leading developers with over three decades of experience in building positive experiences and also transforming the skyline of cities in South India namely Bangalore, Mysore, Mangalore, Hyderabad, Chennai, Kochi with its developments across Residential, Offices, Retail, Hospitality & Education sectors.